No one knows the outcome of 2016 US election, yet many are trying to predict it. Very few seem to understand what's really happening in the minds and hearts of American voters when they watch the battle between Hillary and Donald. It reminds me of a viral phenomenon "What color is this dress?" that took over the Internet last year. Some saw the dress as white and gold, others saw blue and black. There was no middle ground. What do Trump's followers see when they say they trust him more than Hillary Clinton? We at Heartbeat just finished the first week of a 6-week US Polling project in five "swing" states: Florida, Pennsylvania, Ohio, Iowa, and Virginia. Here's what 500 people over 18 years old said they felt about Hillary Clinton when we asked how they felt about her as the next US President. Anger is high, Trust is low. Donald Trump is honest, while Hillary Clinton is a liar to a large group of US voters. It just does not make any sense, right? 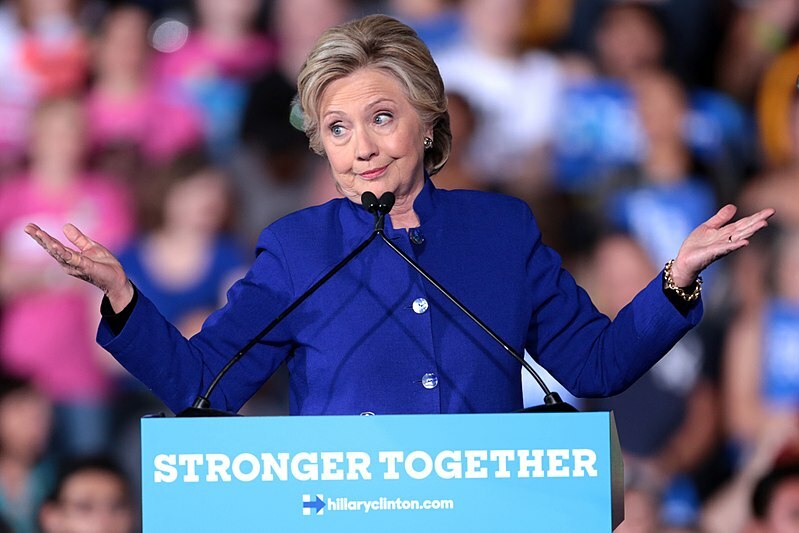 How on earth, despite all the logical reasons, fact checking and statistics that Hillary Clinton stands by, a large number of Americans still trust Donald Trump more? Trust has very little to do with common sense. Trust is an emotional concept for most people, and it has to be re-built using emotional approach: congruent words, genuine body language, authentic facial expressions, and more. Hillary Clinton's words are more rational than emotional, her body language does not project warms that is expected from a woman. People tend to apply different standards towards politicians and businessmen, men and women. Subconscious biases run our worldview, opinions, and decisions. It's sad but true. He wants to better America, isn't a politician and is a very good man with strong feelings for and what America can and will become. May not always like what he has to say, but at least he'll tell you his thoughts and feelings. Doesn't tell you what he thinks you want to hear. Rough around the edges, tells the truth. He is also a liar but speaks his mind. I'd rather have someone that speaks too much of the truth. People who lost trust in politicians in general (and there are many of them), need more than numbers and fact checks from Hillary Clinton to open up to her. She has her own agenda and does not have this country's best interest in mind. She scares me because she know how to act as president but is she honest is what she says real or just an act? I don’t think people will fully appreciate who she is until — knock on wood — she’s elected president because when she is president, I think she will be phenomenally successful because she’s a work horse. He might be missing the point. Being a "work horse" does not necessarily make people trust you more. Not being a "robot" might. According to our "swing" state polling, 22% of voters are undecided (or "can't say") today who they are going to vote for on November 8th. These people don't express much Trust or Joy about either candidates, and they are more angry at Hillary Clinton. Some of them will not vote, others will choose "lesser of two evils", while some can still be reached with a simple yet powerful heart-to-heart message and a real smile.